It’s Friday, which means it’s time for another Destiny Xur location and item post here on PlayStation LifeStyle. This weekend players can spend 17 coins on the Trespasser sidearm. Hunters can grab the Khepri’s Sting gauntlets, Titans can pick up the Helm of Saint-14 helmet, and Warlocks can purchase Light Beyond Nemesis helmet for 13 coins each. 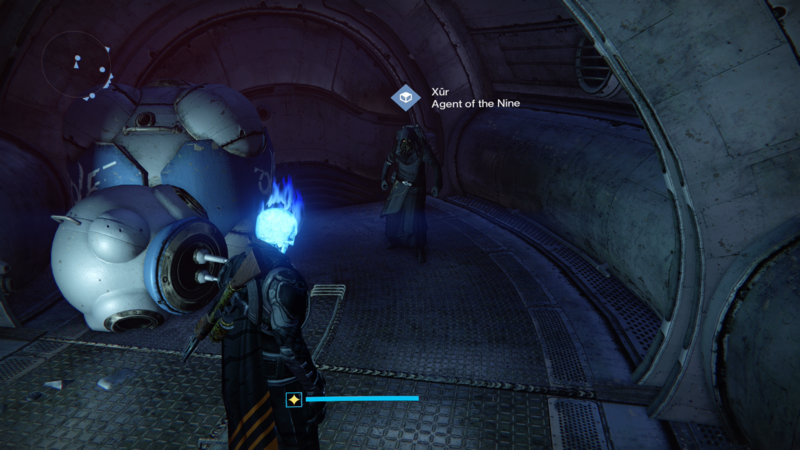 Xur is also selling Exotic Legacy Primary Weapon Engrams for 31 coins. Xur is also stocked up on a Bad Juju and Dragonsbane bundle, as well as a Truth and Heart of Gold bundle, with each costing 30 coins and 25 silver dust.